Want to quickly see how the open-source software Mambo works? You'll find a free and updated demo installation of Mambo here. We are currently updating the Mambo demo. Please check back shortly. There will be a new version up soon. If you want to get a review of the Joomla! predecessor you can download the archive using the link below and set up your own Mambo demo. 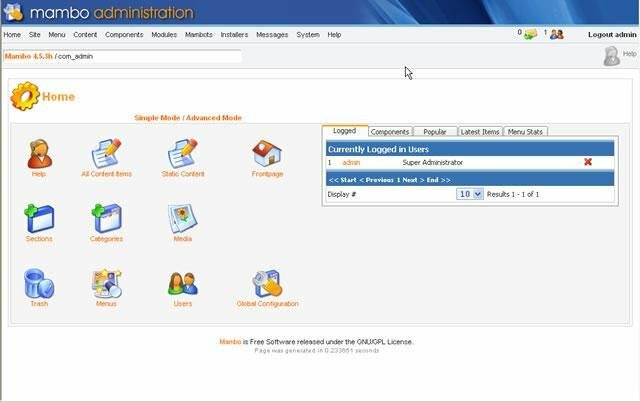 The screenshots below will give you a preview of how the admin demo used to look, and if you are familiar with Joomla you will most likely see the resemblance. 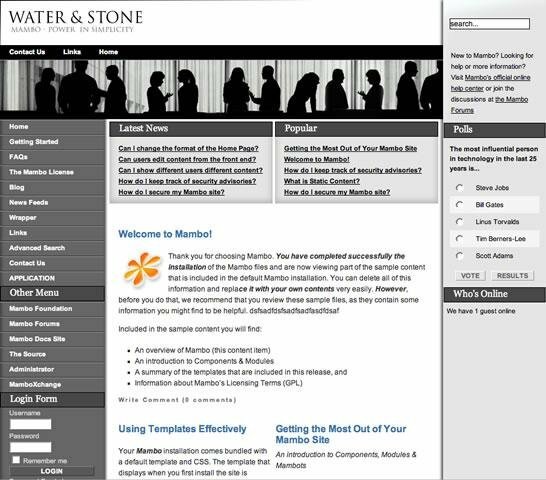 Some examples of features that Mambo offered were the ability to change the appearance of your online demo through themes and advanced templating techniques, page caching to improve performance and a fairly robust API. 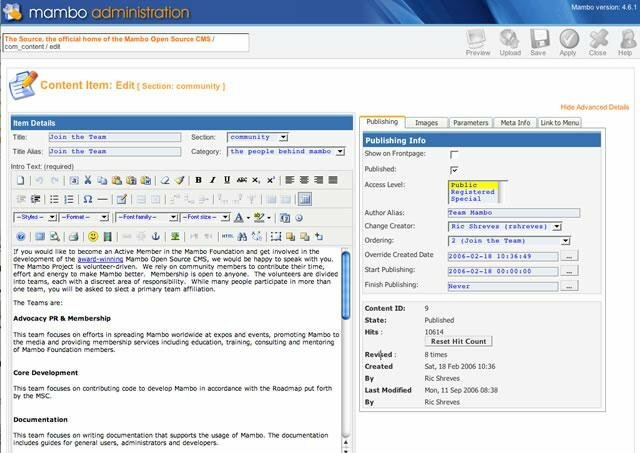 It also offered other useful built in components like blogs, forums, polls, calendars and language internationalization. 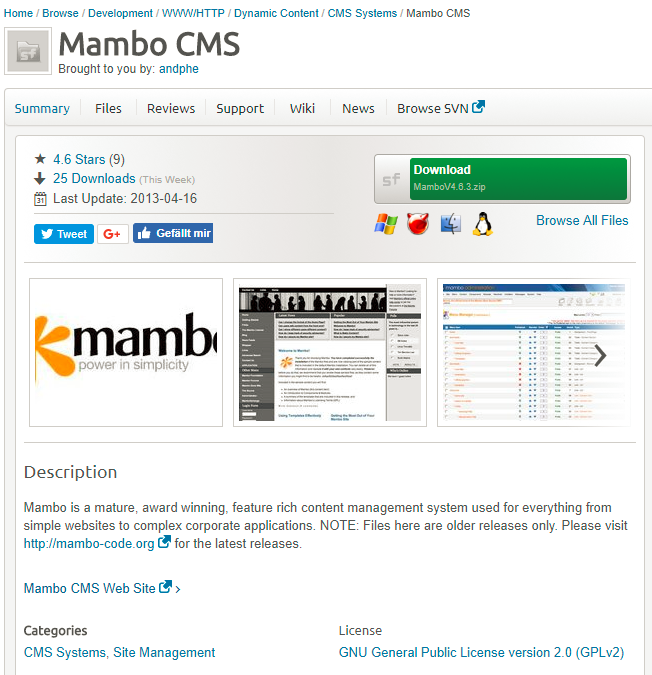 As a proof to its creativity and usefulness as a content management system, during its lifespan Mambo CMS won many awards. 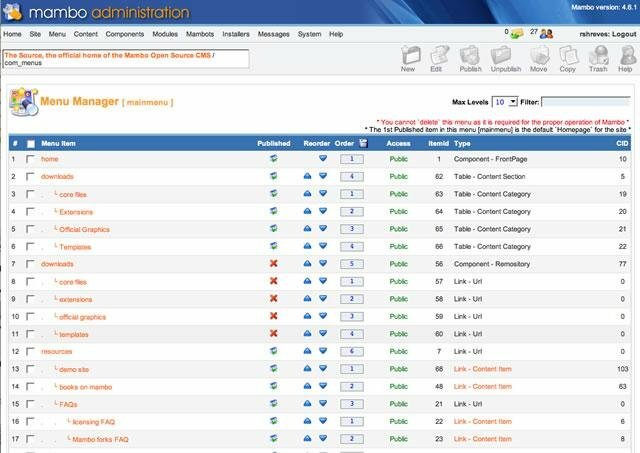 However, by the time of its last release, all of the developers had left for forks of the project, mainly Joomla and MiaCMS. How to translate Mambo to portuguese language?